I started with Morgan Taylor React MAX Optical Brightener and two coats of polish. I finished with Glisten & Glow top coat. 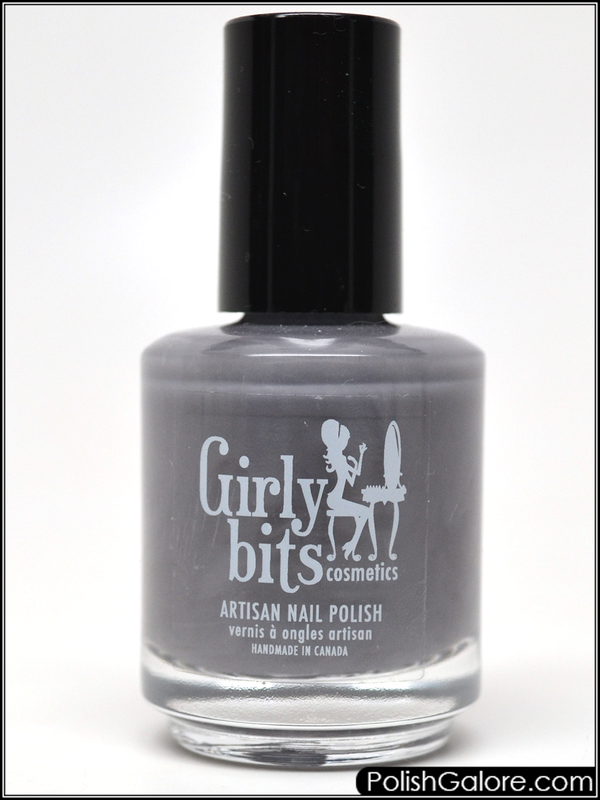 This thermal is a medium grey creme when cold and a soft lavender pink creme when warm. Reveal is available a part of the trio or by itself on the Girly Bits website. Girly Bits can be purchased on her website or through her approved distributors. Prices range from $10 (USD) to $12 (USD). Join the conversation in Facebook, Instagram, Google+, Twitter, & Pinterest.